Our Queen Jubilee Personalised Plastic Cups are unique and ideal business gifts this coming momentous event, and what better gift can you give customers than something that will be kept as a momento to remember this historical celebration? 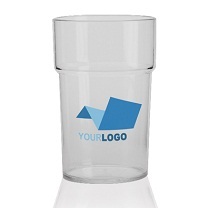 Personalised with your Company branding, theese 10oz tumblers are reusable and stackable, - the perfect business gift for the celebration at hand to ensure good exposure. Hand out these Jubilee Personalised Plastic Cups to customers before the event! For a FREE QUOTE, please fill in the form regarding our Jubilee Personalised Plastic Cups and we'll be able to help you.